No Chintz is one of my local lovely fabric shops. They have a design service making blinds and cushions etc and they also make custom lampshades covering them in the fabric of your choice. 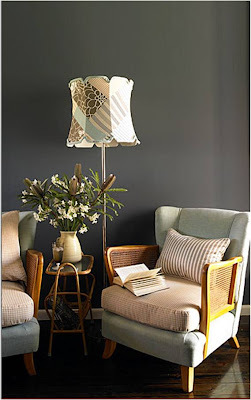 I really like this standard lamp shade - it is old fashioned and modern at the same time.